Well it looks like winter is fast approaching with temps this morning in the 60's . 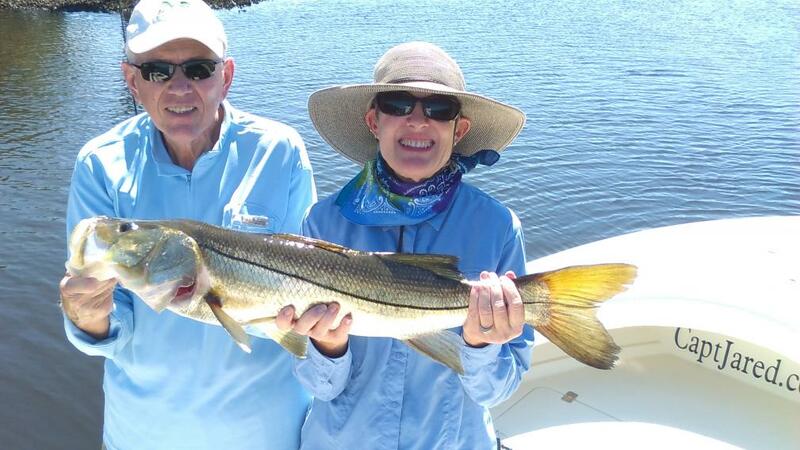 Fall fishing is in full effect, and the Snook, Redfish, Trout, Mackerel, and Kingfish have been in full force! Inshore fishing has been has been nothing short of outstanding and this action will only last for a few short weeks before the first major cold fronts approach. Snook fishing has started to get real good inside of Tampa bay. The fish are starting to get concentrated in the canals, rivers, and creeks making for some of phenomenal snook fishing trips. Live sardines will be the bait of choice until they are gone for winter. Free lined baits rigged with a 1/0 hook are the rig of choice. Most of the fish have been 24-27”, but slot fish been fairly common. The Redfish bite continues to be outstanding! I have caught a lot of large breeder redfish this month both inshore and offshore, from all the way up inside the bay, out to the shipping channel off egmount, they are absolutely everywhere. Finding the large schools of fish takes some time, patience, and covering a lot of water but once they are located in a area they will often hold in that area for many weeks. Large live sardines have been the bait of choice now that the weather is cooling down. 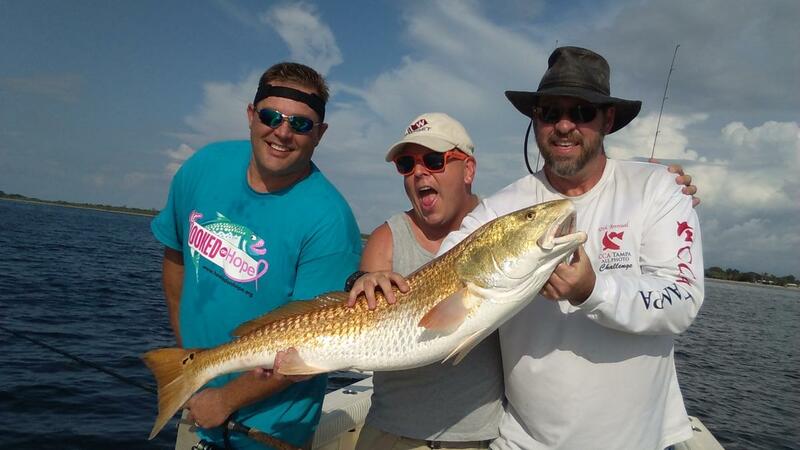 Inshore the fish have been anywhere from 25-33" and offshore they have been 38-41". Trout fishing has started to turn on in a lot of the areas I am fishing. I am starting to catch a good number of fish on rocky outcroppings, oyster beds and shallow flats when fishing for reds. Typically I found the trout in these areas all winter long. Most of the trout have been 17”-19” and have been taken using a small live sardine under a float. 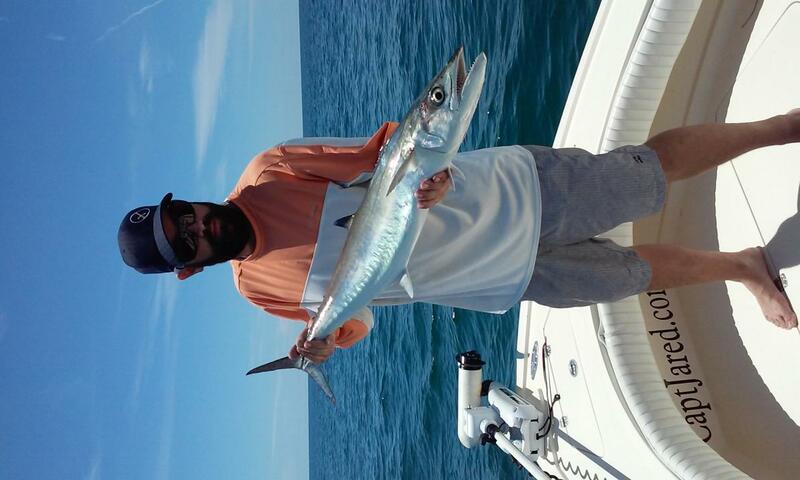 Mackerel fishing has been excellent around the Skyway bridge, and along the near shore wrecks. The fall mackerel run is defiantly in full swing, and the kings aren't far behind. In the south part of the county I caught plenty of big macks along a few kings near the Skyway and out in the channel around markers 7 and 8. In the north off Dunedin I caught plenty of nice macks, but no kings on either Dunedin reef or veterans. It shouldn't be long till the kings are everywhere, especially with this drop in temps this week. 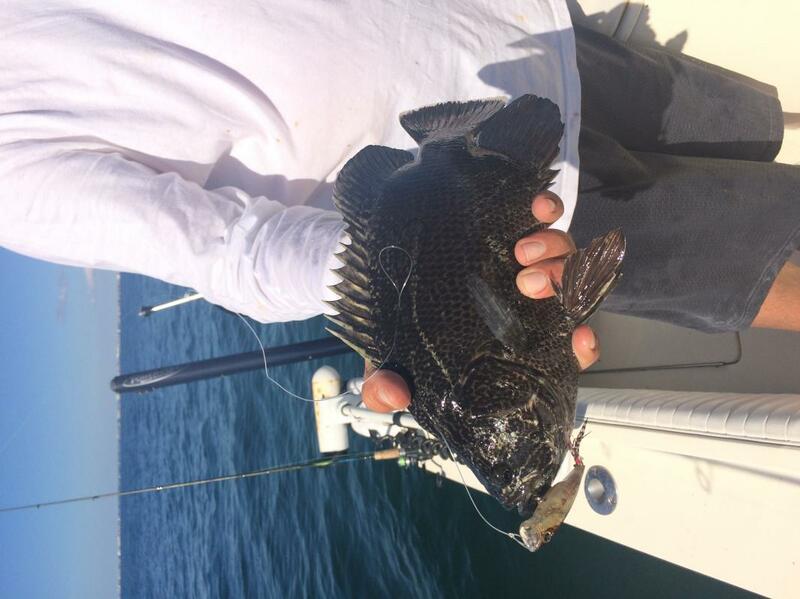 Also keep an eye out for triple tail as well now that stone crab season has started. Great Report and I second just about everything you said! This is my favorite month of the year! 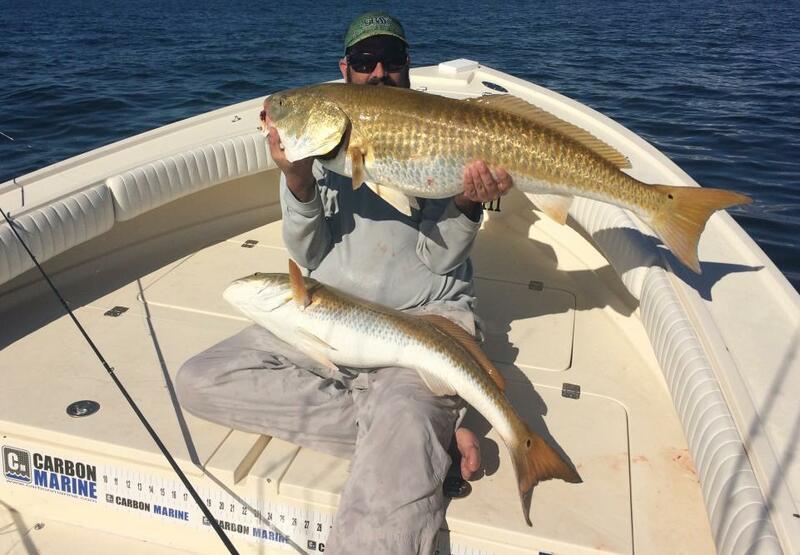 super studly Redfish in the pic of the guy sitting down. You tow up to Venice? I go to Venice the first week of November, Those reds were caught offshore off St.Pete while coming in from King fishing there were over a thousand fish in the school.